By the 2008 financial crisis, Chrysler’s competitiveness had suffered through the years of its merger with Mercedes-Benz owner Daimler and later ownership by Cerberus Capital Management. When America’s economy crumbled, Chrysler needed help to survive, and Fiat seemed a perfect partner. Most auto industry CEOs wear a suit and tie, which require care in their selection and in their maintenance. 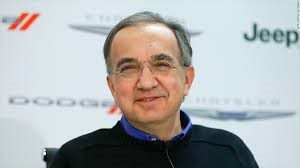 As CEO, Marchionne always wore black sweaters. Sweaters are easy to care for and easy to pack, and no decision-making is required just to get dressed for work. It doesn’t matter that no other auto executive dressed this way. He did what made sense. He freely criticized his own company’s products and performance in public forums. He once admitted that the launch of the Dodge Dart, a car engineered under his leadership, hadn’t gone well. The car wasn’t initially offered with the engines and transmissions Americans would have preferred, he said. In the long run, the Dart was pulled from the market because, as it turned out, Americans had largely turned away from small cars. “I think the leadership will be the right leadership and that’s all that matters,” he said at the Detroit Auto Show in January. He isn’t handing over control of the company he helped build in the way, or at the time, that he had planned. But at least he was able to leave things in hands he helped to choose.